International attention has focused on the possibilities of an Iranian closure of the Straits of Hormuz, and the catastrophic effect a blockade would likely have on global energy supplies. Even a temporary closure or military disruption in the waterway would cause energy prices to soar and could politically destabilize the Persian Gulf region. Far less attention has been paid to Iranian activity in the Red Sea, however, despite the crucial importance of the Bab-el-Mandeb Strait to world oil shipments. In 2013, an estimated combined total of 8.3 million barrels of oil passed through Bab-el-Mandeb and the Suez Canal at either ends of the Red Sea, making it the world’s third-busiest maritime oil transit chokepoint.1 A limited military conflict in the Sea or the presence of naval mines would cause major disruption to European energy supplies and would force oil tankers to take the much longer southern route around the Cape of Good Hope. In this event, oil prices would likely rise dramatically and remain high until security in the Bab-el-Mandeb Strait was restored. Iran has regularly deployed naval forces to the Red Sea since 2011. Although Iranian naval doctrine has typically concentrated on closing the Straits of Hormuz using asymmetric forces, more recent efforts by Iran’s naval leadership to project naval power beyond the Persian Gulf have resulted in a frequent Iranian naval presence in the Red Sea and the Gulf of Aden. 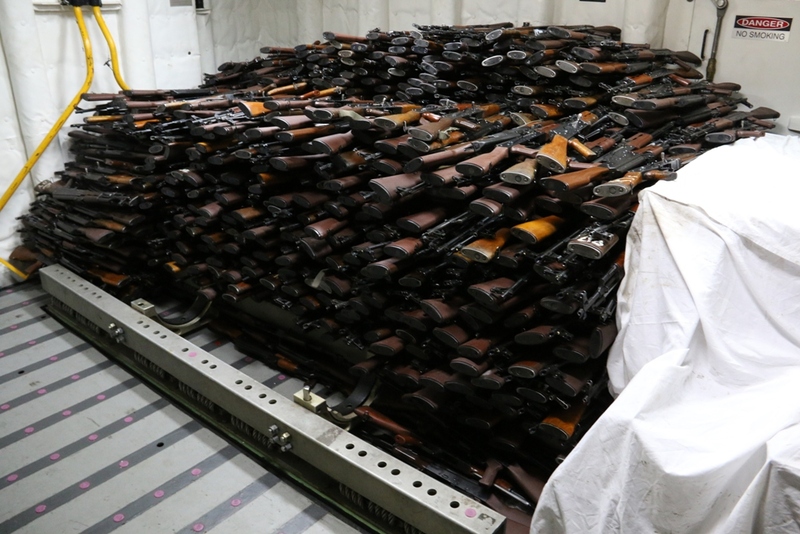 The Red Sea remains an important route for Iranian weapons smuggling to militants in Gaza and Syria,2 and senior Iranian naval officers have announced plans to maintain a permanent maritime presence in the region.3 At present, Iran does not possess the same level of naval capability in the Red Sea and the Gulf as it does in its coastal waters in the Strait of Hormuz. Nevertheless, given the importance of the Bab-el-Mandeb Strait to global oil shipments, it would appear that more research is needed to assess Iran’s ability to disrupt shipping from the Indian Ocean to the Mediterranean. This article aims to outline Iran’s military capabilities in the Red Sea and the southern approach to the Bab-el-Mandeb Strait. 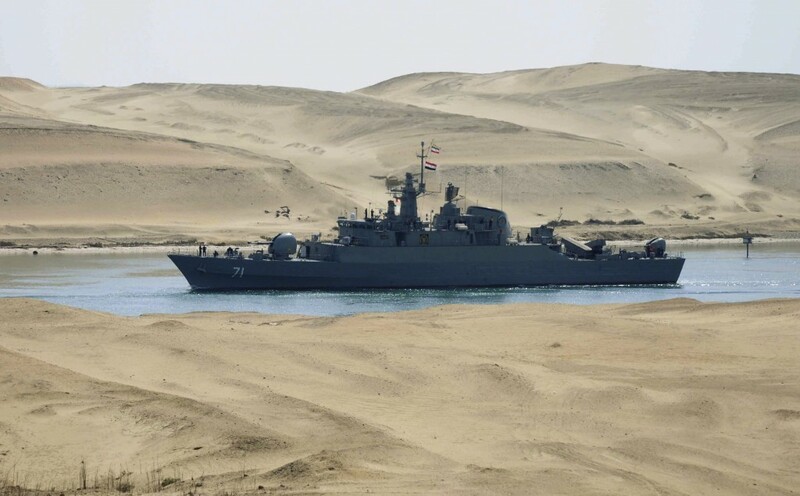 It relies principally on open-source information published on the Islamic Republic’s naval forces, and attempts to make realistic projections about Iran’s ability to intercept the Suez shipping line, which remains limited at present. Even in the case of the much more heavily-guarded Strait of Hormuz, it is generally acknowledged that Iranian forces could only hope to close the waterway for a matter of days or, at best, a few weeks, given its crucial importance for Western oil supplies.4 Attacks on oil shipments to Western Europe and North America in the Red Sea would risk triggering a devastating Western response, and it is not clear whether the Iranians would be prepared to do so. Moreover, in the event of a conflict with Iran, clashes would almost certainly be primarily focused on the Persian Gulf and the Red Sea would likely be a secondary theatre. This analysis therefore attempts to understand what forces Iran would be able to deploy to the area in the event of conflict, and how effective they might be in closing the strait. This essay begins with a review of recent Iranian involvement in the Red Sea beginning in 2011, as well as its current naval policy towards the region. It will then give a brief overview of Iran’s current naval forces at Iran’s disposal, and will discuss the types of vessels and weapons Iran is capable of deploying to the Red Sea. In so doing, this article will attempt to give a broad summary of Iran’s likely present military capabilities in the Bab-el-Mandeb Strait and the kinds of threats which ships in the Red Sea could expect to face in the event of a conflict. The Iranian fleet is divided between the regular Islamic Republic of Iran Navy (IRIN), and the Iranian Revolutionary Guard Corps Naval Forces (IRGCNF). 18,000 sailors are enlisted in the regular navy, whilst the IRGCNF is comprised of 20,000 sailors and 5,000 marines.21 Iran has seven frigates and 32 fast-attack missile craft designed for green-water service which form the core of its surface fleet, all armed with the C-802 Noor long-range anti-ship missile.22 Iran has also invested in a large flotilla of small craft, ranging from offshore patrol boats to armed motorboats and dhows, intended for coastal service and for mounting swarm attacks in the Strait of Hormuz. Iran has a squadron of five minelayers, as well as several mine countermeasures vessels, which can be supplemented by its small craft in laying naval mines in the Strait.23 The Iranian submarine service is made up of a total of 29 submarines, divided between the IRIN and IRGCNF.24 Five of these submarines are capable of operating in blue water, and the rest appear to be designed for service in the Persian Gulf. A number of ships and submarines are currently under construction, although information about these vessels remains limited. The IRGCNF is tasked primarily with defending the Iranian coast and for interdicting shipping in the Strait of Hormuz. 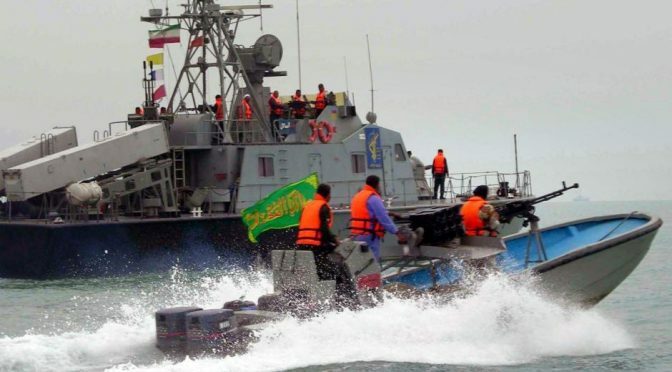 IRGCNF controls Iran’s asymmetric capability force, including its small attack craft, suicide vessels, and batteries of relatively short-ranged anti-ship missiles. IRGCNF bases are located in the Persian Gulf, and as its focus is limited to Iran’s littoral zone, its vessels are constrained by a smaller operating radius than the regular surface fleet. The IRGCNF also commands over 17 Qadir­-class and Nahang–class midget submarines, the majority of Iran’s submarine force, which are designed for service exclusively in the Persian Gulf. By contrast, the IRIN controls Iran’s blue-water capabilities. Although both the IRIN and IRGCNF share responsibility for protecting the Iranian coast in the Persian Gulf and the Caspian Sea, since 2011 the IRIN has begun to focus on expanding Iran’s regional maritime reach. In the event of a conflict with the United States or with Iran’s Gulf Cooperation Council (GCC) rivals, the main Iranian effort would likely be focused on closing the Strait of Hormuz and on attacking shipping in the Persian Gulf. Most of these operations would fall under the responsibility of the IRGCNF, which has the capability to interdict shipping through the Strait with its small vessels and missile batteries. The Bab-el-Mandeb Strait, however, falls out of the operating range of most of the IRGCNF’s vessels, and so any operations in the Red Sea or the upper Gulf of Aden would be undertaken by the IRIN. According to IISS’ Military Balance, the core of the IRIN’s main surface fleet consists of two Jamaran-class light frigates, three Alvand-class frigates, and two Bayandor-class patrol frigates. Five of these ships date from the 1960s; the Alvand ships were bought as refitted Vosper Mark 5 frigates from the Royal Navy in 1971,25 and the Bayandor ships were purchased from the U.S. between 1964 and 1969.26 The Jamaran frigates are based on the basic Vosper Mk 5 design, although unlike the Alvand and Bayandor ships, they are armed with anti-air defenses. The Jamaran-class is thought only to be armed with two single SAM launchers, firing the SM-1 anti-air missile which was originally developed for the U.S. Navy in 1967.27 The lack of anti-aircraft capabilities indicates that Iran’s core surface vessels are dangerously exposed to air attack, critically limiting their ability to be deployed outside the umbrella of Iran’s coastal defense anti-air batteries. In theory, Iran could use its surface ships to mount a blockade of the Bab-el-Mandeb Strait by attacking ships attempting to pass through the Red Sea. The main Iranian surface fleet clearly has the operating radius to project power into the Red Sea from the Gulf of Aden, and its ships are armed with sufficiently long-ranged missiles to engage tankers in the narrow confines of the southern Red Sea. However, the extreme vulnerability of these ships to air attack with their lack of air defense cover suggests it is highly unlikely that these vessels would be capable of maintaining a blockade for long, or would even be risked attempting to do so. The disastrous losses inflicted on the Iranian fleet during the 1988 tanker war by U.S. aircraft highlighted this weaknesses, and prompted Iranian strategists to focus on asymmetric forces as an alternative.35 With both an American F-15 squadron based in Camp Lemonnier36 and ships from EUNAVFOR Atalanta stationed in Djibouti,37 it is doubtful whether any hostile Iranian surface ships would be able to successfully interdict Red Sea shipping. Seafloor mines are especially challenging to detect; it took a Royal Navy minesweeper six days to detect a single Iranian smart mine in the Red Sea in the 1980s.49 Caitlin Talmadge, in her analysis of Iranian capabilities in the Strait of Hormuz, calculated that a task force of 12 NATO ships managed to clear an Iraqi minefield at a rate of 1.18 mines per day, a rate that was unusually fast and done under ideal conditions.50 Given the rugged geography of the Red Sea’s floor and the proliferation of smart mines, it is not clear whether another task force would be able to clear an Iranian minefield at the same rate. However, the Kilo class is aging, and these vessels are vulnerable to U.S. and British hunter-killer groups. The proximity of Western forces to the Bab-el-Mandeb Strait and the strategic importance of the Red Sea to Western interests suggests that the Kilo submarines would probably only get one voyage to the Red Sea before being neutralized in the case of hostilities. If Iran deployed all three of its blue-water submarines, which is unlikely, they could sow 72 mines at most. If a naval task force was to achieve the same rate of minesweeping as in Talmadge’s analysis, it would take 61 days to clear this minefield completely. Nevertheless, it is improbable that the Iranian leadership would risk all three of its largest submarines on such a risky, possibly one-way mission, and similarly it is unlikely that minesweepers would be able to operate with the same speed in the Red Sea as in the Persian Gulf. Therefore, a rough estimate of Iran’s submarine capabilities and mine stock would indicate that a single Kilo submarine with a well-trained crew could close the Bab-el-Mandeb Strait for at least a week in an attempt to divert attention away from combat in the Persian Gulf. Whilst the Emad represents an improvement in Iran’s ballistic missile capability, it is not clear how effective it would be as an area-denial weapon in the Red Sea. It does not appear to be accurate enough to target individual ships, and it will take several years to perfect the guidance technology.56 Furthermore, in order to reach the Red Sea, a costly Emad missile would need to transit across the Arabian Peninsula through Saudi Arabia’s air defenses. The possibility of using ballistic missiles to attack Red Sea shipping is therefore remote. Iran’s ability to interdict shipping in the Red Sea is limited by its aging surface fleet and by the small number of submarines and missiles it can deploy to the waterway. Despite Iran’s growing interest in expanding its influence into the Bab-el-Mandeb Strait and the southern Red Sea as a means of securing its regional power, its current naval forces are tasked primarily with shutting the Strait of Hormuz. Nevertheless, in spite of these limitations, the Iranians do have a narrow range of capabilities in the Bab-el-Mandeb Strait. Although its surface fleet is unlikely to risk its assets by deploying surface vessels so close to U.S. and Saudi airbases during wartime, Iran has demonstrated that it can send submarines on extended cruises of the Red Sea. Its aging Kilo-class submarines are equipped with sophisticated mines in quantities which would take weeks to clear, and could be used to apply pressure on both the U.S. and Western Europe as well as the oil-exporting countries of the Persian Gulf. Iran is already suspected to have laid mines in the Red Sea in the 1980s, and it is capable of doing so again – either as a means of leveraging its position in the Greater Middle East, or as a way to disrupt oil shipping and to open a new theater of operations in the event of a war with its regional rivals. James A. Fargher works as an intelligence analyst at a political risk firm in the UK, and is currently enrolled as a PhD candidate at the Department of War Studies, King’s College London. James holds a BA from Drew University and an MA in modern history from King’s. He specializes in Imperial history and naval theory, with a particular focus on the Red Sea region. 1. Alexander Metelitsa & Megan Mercer, ‘World Oil Transit Chokepoins Critical to Global Energy Security,’ Today in Energy, US Energy Information Administration, 1 December 2014. 2. Stratfor, ‘Eastern Africa: A Battleground for Israel and Iran,’ Report, 29 October 2012. 3. ‘Iran Making Naval Moves into Red Sea,’ The Tower, 20 January 2015. 4. Caitlin Talmadge, ‘Closing Time: Assessing the Iranian Threat to the Strait of Hormuz,’ International Security, 33:1 (Summer 2008), 84. 5. Gerald F. Seib and Robert S. Greenberger, ‘Iran’s Signals Mixed on Mines in the Red Sea,’ The Wall Street Journal, 8 August 1984. 6. ‘Israel anger at Ian Suez Canal warship move,’ BBC News, 16 February 2011. 7. ‘Iran to send submarines to international waters – Press TV,’ BBC News, 30 July 2011. 8. ‘Iran Navy to Hold War Games Near Crucial Sea Lanes,’ The New York Times, 23 December 2011. 9. ‘Iran navy to deploy 24th fleet to Mediterranean Sea – commander,’ BBC News, 16 January 2013. 10. ‘Iran Navy counters pirate attack against oil tanker in Red Sea,’ BBC News, 4 Mach 2014. 11. ‘Iran Making Naval Moves into Red Sea,’ The Tower, 20 January 2015. 12. ‘Islamic Republic of Iran Navy IRIN / Iranian Revolutionary Guard Corps (IRGC) Navy,’ Global Security, accessed 23 June 2016, http://www.globalsecurity.org/military/world/iran/navy.htm. 13. Tarek Fahmi, quoted in ‘Iran Making Naval Moves into Red Sea,’ The Tower, 20 January 2015. 14. Stratfor, ‘Eastern Africa: A Battleground for Israel and Iran,’ Report, 29 October 2012. 17. ‘Iran steps up support for Houthis in Yemen’s war – sources’, Reuters, 22 March 2017. 21. International Institute for Strategic Studies (IISS), ‘The Middle East and North Africa,’ The Military Balance, 2016 (London: IISS, 2016), 328. 25. ‘Alvand Class,’ Global Security, accessed 30 June 2016, http://www.globalsecurity.org/military/world/iran/alvand.htm. 27. International Institute for Strategic Studies (IISS), ‘The Middle East and North Africa,’ The Military Balance, 2016 (London: IISS, 2016), 329. 29. ‘C-802 / YJ-2 / Ying Ji-802 / CSS-C-8 / SACCADE C-8xx / YJ-22 / YJ-82,’ Global Security, accessed 1 July 2016, http://www.globalsecurity.org/military/world/china/c-802.htm. 32. International Institute for Strategic Studies (IISS), ‘The Middle East and North Africa,’ The Military Balance, 2016 (London: IISS, 2016), 329. 33. ‘Kosar / Nasr,’ Global Security, accessed 1 July 2016, http://www.globalsecurity.org/military/world/iran/kosar.htm. 34. Talmadge, ‘Closing Time,’ 104. 35. Nuclear Threat Initiative (NTI), ‘Iran Submarine Capabilities,’ 21 August 2015, accessed on 22 June 2016, http://www.nti.org/analysis/articles/iran-submarine-capabilities/. 36. Craig Whitlock, ‘Remote U.S. base at core of secret operations,’ The Washington Post, 25 October 2012. 37. David Styan, ‘Djibouti: Changing Influence in the Horn’s Strategic Hub,’ Briefing Paper (London: Chatham House, 2013), 4. 38. NTI, ‘Iran Submarine Capabilities’. 39. International Institute for Strategic Studies, ‘The Middle East and North Africa,’ 329. 40. ‘Kilo Class Submarine,’ Global Security, accessed 23 June 2016, http://www.globalsecurity.org/military/world/iran/kilo.htm. 41. Nuclear Threat Initiative (NTI), ‘Iran Submarine Capabilities’. 42. ‘Fateh (Conqueror / Victor) “semi-heavy” submarine,’ Global Security, accessed 23 June 2016, http://www.globalsecurity.org/military/world/iran/fateh.htm. 43. ‘Iran to send submarines to international waters – Press TV,’ BBC News, 30 July 2011. 44. International Institute for Strategic Studies, ‘The Middle East and North Africa,’ 329. 45. ‘Kilo Class Submarine,’ Global Security. 46. Talmadge, ‘Closing Time,’ 92. 47. Anthony H. Cordesman with Aaron Lin, The Iranian Sea-Air-Missile Threat to Gulf Shipping (Washington: Centre for Strategic & International Studies, 2015), 21. 50. Talmadge, ‘Closing Time,’ 95. 51. Abdullah Toukan and Anthony Cordesman, ‘GCC-Iran: Operational Analysis of Air, SAM and TBM Forces,’ Centre for Strategic & International Studies (Washington: CSIS, 2009), 37. 53. 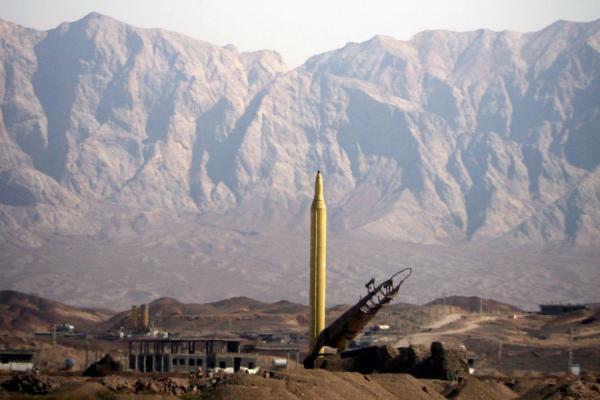 Sam Wilkin, ‘Iran Tests New Precision-Guided Ballistic Missile,’ Reuters, 11 October 2015. Regarding the Bab el Mandeb article…I think he means 8.3 million barrels “a day” in 2013…he writes about the Red Sea and Suez Canal as if he does know that Suez was closed for 8 years following 1967 war…global shipping, including tankers, adjusted just fine once more ships were in the stream around Good Hope…yes more costs due to increased transit time, but not globally catastrophic.